Amazon Prime Day sale is coming back on July 16 this year. The sale will last 36 hours, ending on midnight, July 17. 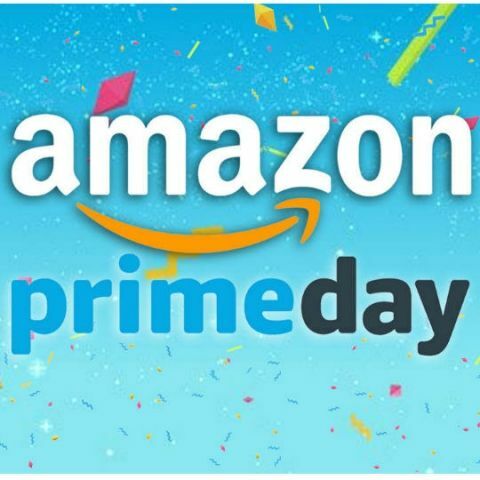 Amazon's Prime Day sale is back for another installment. This time around, the sale is expected to kick off from 12PM on the July 16, and will go on for 36 hours, ending on midnight, July 17. As always, shoppers can expect pretty major deals on the website across a wide range of categories. The sale is open to all those who have subscribed to Amazon Prime, even those who are on a 30-day trial period. Amazon claims that this year’s sale will be a lot bigger than last year. Besides a number of deals, the company plans to launch over 200 new products during the sale. This includes launched from top brands, as well as small businesses and startups. These products will be available first exclusively to Prime Members. Further, members will also have access to deals from the company’s international selection. What are the deals on smartphones? Amazon says that it will offer up to 40 percent off on the prices of mobile phones and accessories. The company will also be giving an additional amount off when exchanging a smartphone for a new device. This includes the Samsung Galaxy Note 8, which gets an additional Rs 10,000 off on exchange. What are the deals on Amazon products? Amazon says that its own range of devices will be available at the lowest prices of the year. These include the Echo range of smart speakers, Fire TV Stick, and Kindle e-readers. In fact, the company has teased up to 100 percent cashback when buying the Fire TV stick. What are the deals on other electronic products? What about Amazon Prime Video and Prime Music? Amazon Prime Video will get in on the action early. Starting July 10, the video streaming service will offer seven new shows across seven days. This includes a mix of international and regional titles like Raazi, 102 Not Out, Dunkirk, Transformers: The Last Night, Angrezi Mein Kehte Hain and Telugu hit Officer. Prime Video will also launch its new original show, Comicstaan on July 13. On Amazon Prime Music, the company is giving away Echo Dots to its listeners. In order to participate, Prime Members have to play any three songs from Amazon’s collection of tracks. The company will be announcing two winners daily. Besides the discounts and offers, Prime members can also avail an additional 10% discount when using their HDFC bank credit or debit cards to make a purchase. Further, it is also offering a 10% cashback on Amazon Pay balance. The company notes that over 8000 products on the site will be available with No Cost EMI. Which phone is better redmi 4 prime or redmi 3s prime?